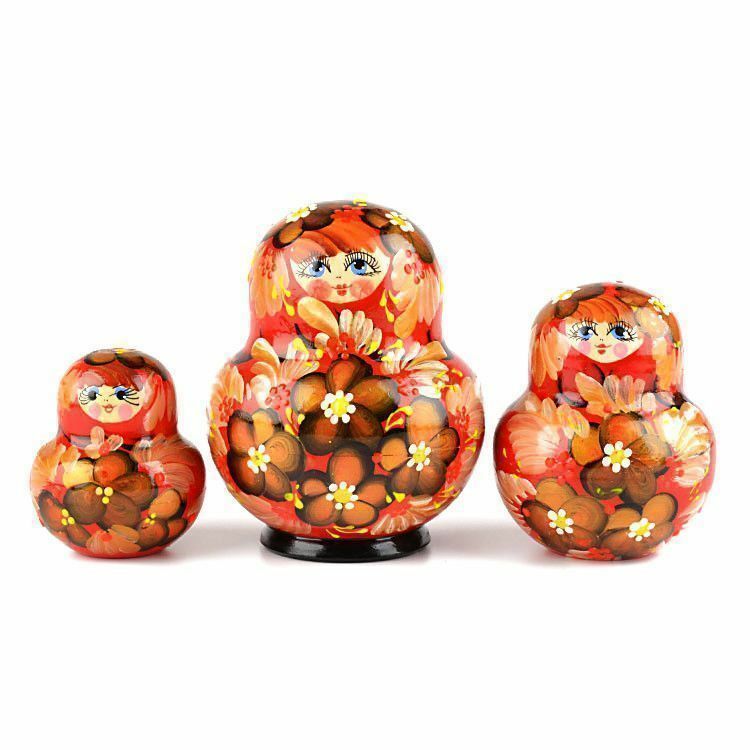 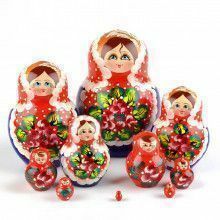 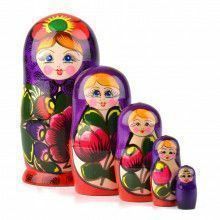 Hand-crafted in Russia, this authentic nesting doll features a floral design with red, gold, black, white, and yellow colors. 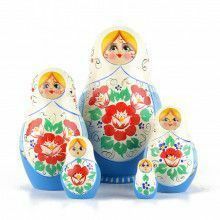 This 10 piece stacking doll is about 5" tall and it is gloss-finished. 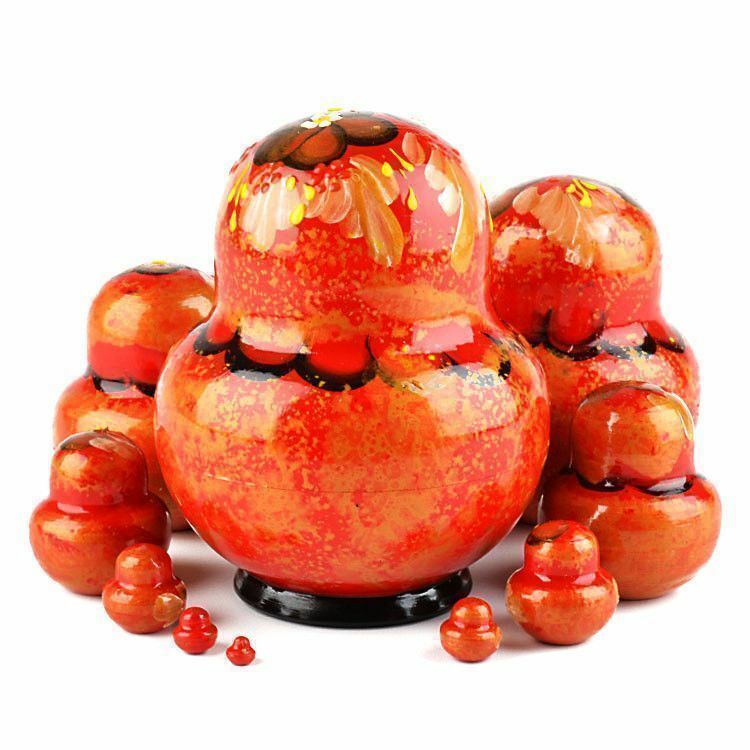 Makes a wonderful addition to any home or office!